S1230 - Passive speaker connects to audio system with spring wire terminals. 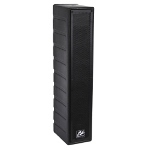 SS1230 - Amplified speaker contains a 50 watt peak audio amplifier. SW1230 - Adds a 16 channel Wireless microphone kit to Model SS1230. 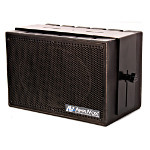 Mity Box PA System The AmpliVox Mity Box’s small speaker design is great for small venues. Full range performance in a small compact design. You get spacious sound that extends well beyond the speaker’s physical size. Like all AmpliVox PA speaker systems, they are engineered for quality voice reinforcement. Choose between a passive speaker; a 50W amplified / wired microphone PA speaker or a 50W amplified / wired / wireless 16 channel PA design. The hard shell plastic cabinet measures 10.5” L x 7” W x 6.5” D with a weight of only 4.5 pounds. 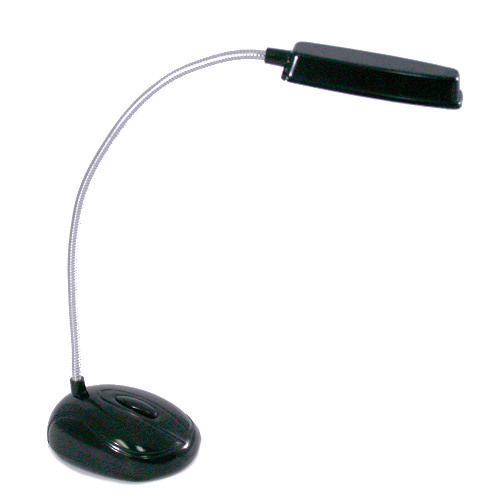 All speakers include a “C” shape mounting bracket for wall mounting. 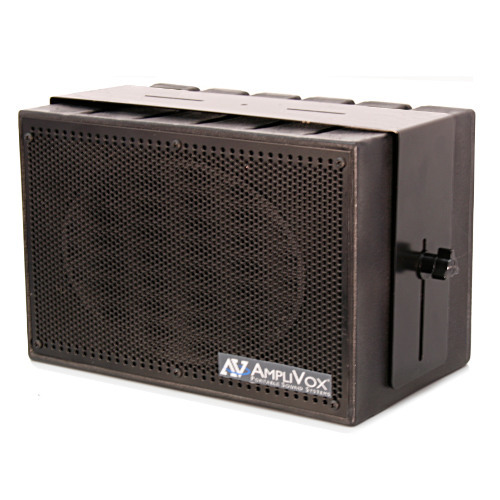 The two amplified speakers also include a power on/off switch and 110VAC wall adapter. 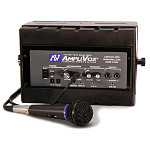 Adds a 16 channel Wireless microphone kit to Model SS1230. 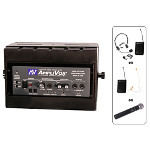 Includes a choice of either a handheld or lapel microphone. 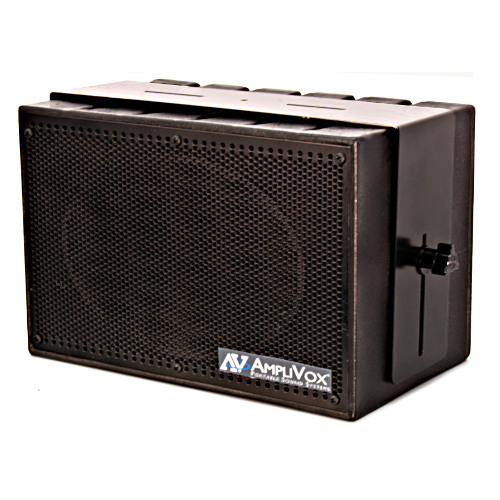 Amplified speaker contains a 50 watt peak audio amplifier. Use by itself or connect to the passive speaker for larger sound coverage using the 1/4" Left and Right output connectors. 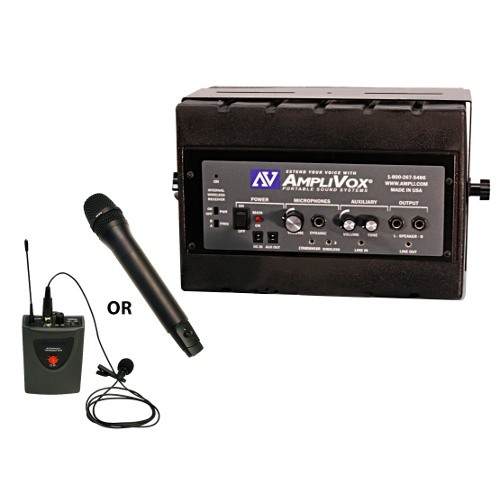 When using as a PA you have flexibility for three microphone selections. 1/4" dynamic, 3.5mm condenser or 3.5mm wireless connectors. As an amplified audio speaker, plug in any audio source, iPod / MP3 or CD player into the 3.5mm stereo connector. A 3.5mm stereo output connector is also included. 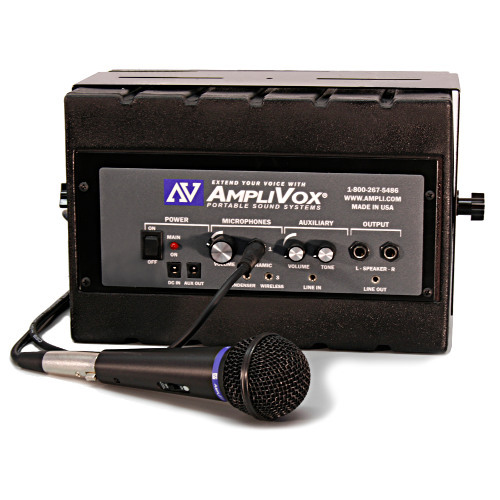 Control speaker output with the separate volume control the microphone and a separate volume and tone control for the line in audio source.